Royal Bank of Canada (RY.TO) is slowly opening the door to funding marijuana companies but still isn’t ready to fully jump into the nascent sector, an executive of the country’s largest bank by market capitalization said Wednesday. Speaking at the National Bank Financial Services Conference in Montreal, RBC Capital Markets Group Head Doug McGregor said the bank has figured out the cannabis business but has yet to act on any financing or supporting activities. He added that if it does decide to pull the trigger, the marijuana company would have to meet very specific requirements. “I think that under certain circumstances where we don’t think we’re at risk for our U.S. franchise, I think you’ll see some activity to support customers in narrow parts of that industry,” McGregor said. Marijuana is still illegal at the federal level in the United States, which has stirred investor jitters about the knock-on effect in Canada. 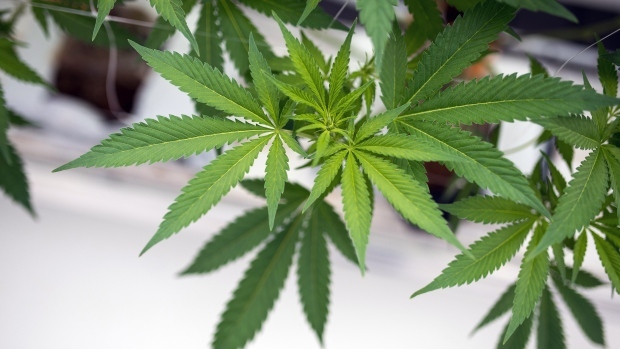 TMX Group (X.TO), the owner of the Toronto Stock Exchange and TSX Venture, threatened to delist pot companies contravening U.S. federal laws late last year, but ultimately decided to strengthen disclosure requirements for cannabis companies about U.S. regulatory risk. McGregor also said RBC doesn’t have much interest in supporting startup businesses in the cannabis sector. Many of the country’s biggest financial institutions have shied away from the novel industry because of regulatory and legalization grey areas, allowing independent firms to swoop in and fill the gap. However, some of the country’s big banks have begun to dip their toes in. It was revealed earlier this year CIBC (CM.TO) led a $20-million credit facility for producer MedReleaf (LEAF.TO) in April 2017 and in January, Canopy Growth (WEED.TO) announced Bank of Montreal (BMO.TO) was a co-underwriter for its $175-million share issuance.